This design house is famous for outputting outstanding concept vehicles at the Motor Show. However, this will be the first vehicle Pininfarina has unveiled after had been bought by Mahindra & Mahindra (a company from India). The teaser image presents a small part of the vehicle’s front part. The Italian design house spoke of their new vehicle as of a “technological jewel”. Therefore, interesting details should be expected. 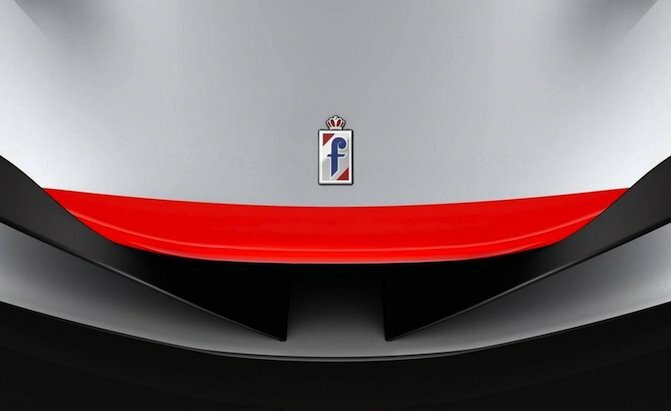 Pininfarina shows the clients what they can do with the design (recollect the Cambiano). The Ferrari 448 Spider-based Sergio is an exception as it saw 6 models produced to honour the 60th year of the company’s collaborating with Ferrari.